Brand new for 2015 – Play-Doh Live! There is a saying that you can judge a man by the company he keeps. If you can apply that logic to UK holiday resorts, then the stellar cast of acts and brands you find on our resorts these days really do reflect very well on Butlin’s. Diversity have already arrived, Stephen Mulhern is coming soon; you’ll have seen Little Tikes and Usborne Books on our Just For Tots breaks, and now we’ve added a name that is massively familiar to both parents and children alike: Play-Doh! Only the merest mention of that name and I can smell Play-Doh. It was a staple of my childhood and, as a Dad, I remember having some laugh-out-loud play sessions with my two sons using the Play-Doh barber shop (the joke was that my boys could make hair out of Play-Doh, but Dad hadn’t got any of his own). It really is a world-famous brand. Any pre-school group or craft club aimed at young children has to have some Play-Doh to be credible. So you can imagine how delighted we were when Play-Doh wanted to come and work with us, and even more so when they told us they wanted Butlin’s to be the place they launched their amazing new show, Play-Doh Live. The 20-minute show has been created with a unique ultra-violet experience, using fluorescent puppets to bring the Doh-Doh characters to life on stage. Aimed at children aged five and under, the show is a fantastical mix of story and song as it tells the tale of how the Doh-Doh characters make sure the new batch of Play-Doh is ship-shape and ready to go out to boys and girls around the world. It’s a brilliant show, it’s unique – and you can only see it at Butlin’s Bognor Regis! 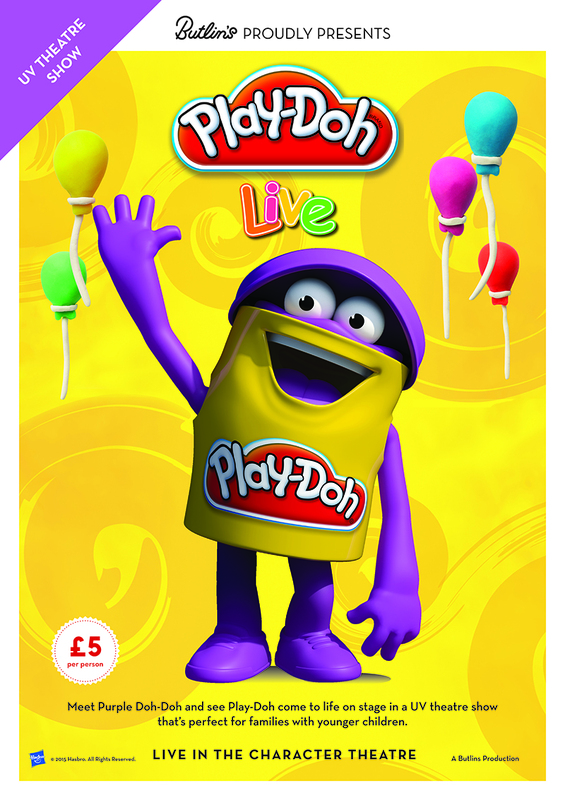 Play-Doh Live will take place on all Family and Just For Tots breaks in the Character Theatre at Butlin’s Bognor Regis resort from April 1, 2015 – tickets will cost £5 per person. The live show is an obvious highlight of our wider partnership, which means we now have Play-Doh Activity sessions on all Just For Tots breaks during 2015. We’re very excited to have Play-Doh on board, and we know it will add even more fun to a Butlins break for our younger guests. Now if only they could make my hair grow as easily as it did in that Play-Doh barber shop…. 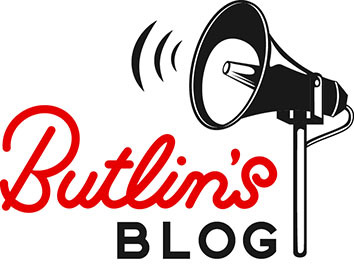 After holidaying at Butlin's as a child and then bringing my own sons since they were toddlers, I'm delighted to be part of the team that looks after our media and public relations, as well as our many and varied social media channels.